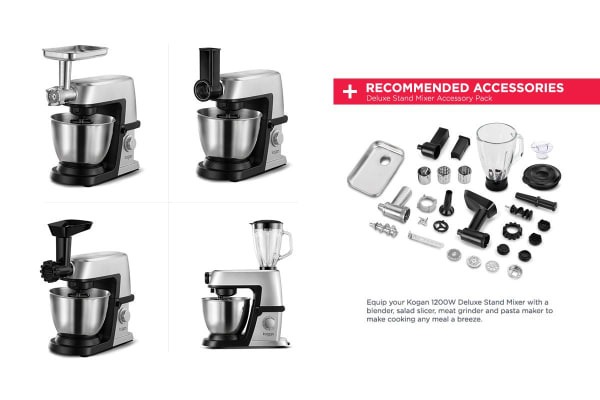 Get creative in the kitchen with a powerful motor, six speed settings and robust construction. 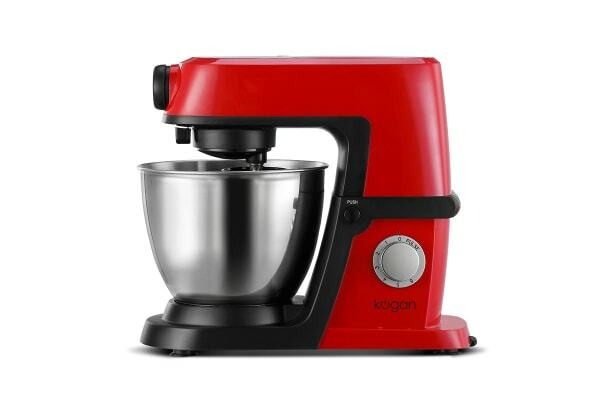 Make beating and mixing a joy with the Kogan 1200W Deluxe Stand Mixer It features variable speed settings, a large 5-litre stainless steel mixing bowl and a transparent detachable bowl cover to avoid messy splatters. 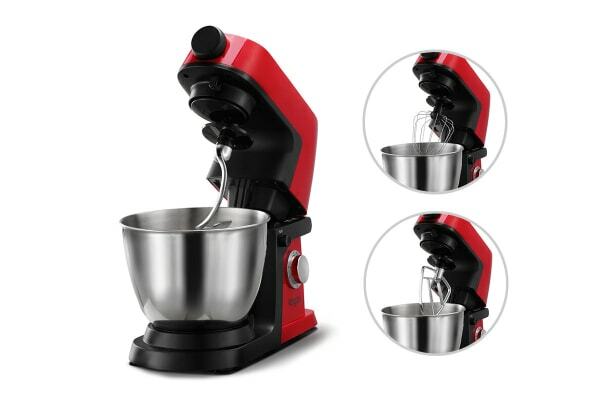 The mixer comes with a stainless steel whisk, aluminium alloy beater and a removable dough kneading hook, covering all your mixing requirements. The powerful 1200W motor ensures that your mixing can be delicate enough to whip a perfectly fluffy meringue, yet strong enough to knead your favourite bread dough. With its robust construction and classic stainless steel finish, this kitchen mixer will pass the test of time in both style and performance. To get even more out of your Stand Mixer, check out the attachments pack here with meat grinder, blender jug, pasta maker and salad slicer. 1200W power for tougher tasks. Variable speed settings allow you to process both hard and soft foods. Beater doesn't reach bottom of the bowl. Need to keep scraping food manually.